CBI Staff had an amazing time attending the first Ausbiotech Women in Science Luncheon in Brisbane with our industry partners Patheon Biologics. 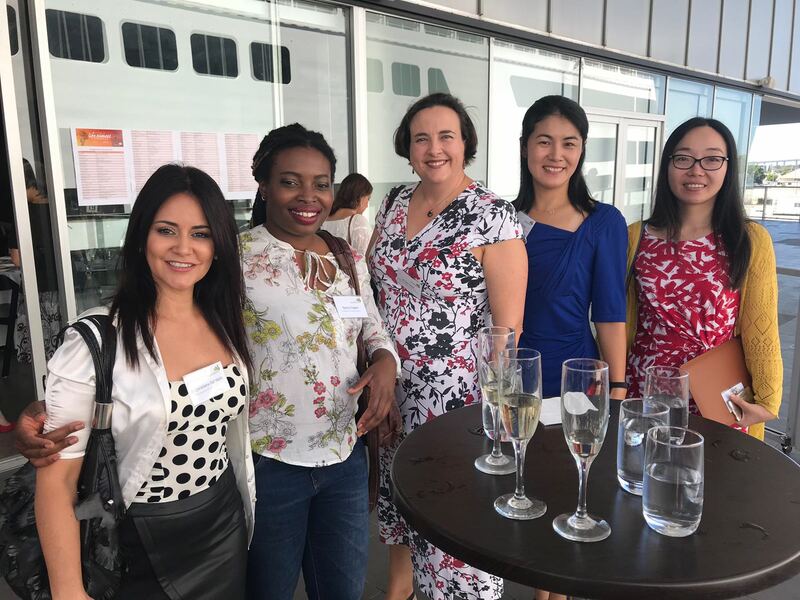 The annual Women in Life Sciences Luncheons, hosted by AusBiotech, fosters a supportive community for women who work in the life sciences and inspires women to pursue professional goals and build their own success stories. The event was officially opened by Dr Christine Williams, Acting Chief Scientist of Queensland. A key and inspiring feature of the event was a Q&A session with sisters – Professor Ranjeny Thomas and Associate Professor Helen Thomas, who presented a view of the life sciences from their respective successful careers traversing research and industry. Ranjeny is Founder and a Director of the spin-off company, Dendright, which is developing immunotherapy for rheumatoid arthritis and Professor of Rheumatology at University of Queensland, Translational Research Institute, and Helen is a Senior Research Fellow at St Vincent’s Institute in Melbourne where she is head of the Immunology and Diabetes Unit.